Android KitKat on ARCHOS 80 Titanium ? Here is our new ArcTools package designed to facilitate ClockworkMod (CWM) Recovery system installation on your device. This should work on most Rockchip devices running RK3066 or RK3188 processors. Requirements and compatibility: A rooted firmware is required, if you are not running one of our Kasty firmwares, you should be able to find one for your device in our forum. If you are using a different firmware and ArcTools is not pre-installed, you can download it here: Arctools apk Following a few days testing period, we have gathered enough positive feedback from the testers and this package is confirmed to work on the following tablets: Cube U30GT (RK3066) tested by admin Cube U23GTC4-W (RK3188) tested by admin Cube U30GT2 (RK3188) tested by Sethi, thantos and DaezD, saciorlux and robiom Cube U39GT tested by manu_katz PiPO M9 pro (RK3188) tested by cracktech and yabalis Pipo M9 pro (Android KitKat firmware) tested by admin, using ManuPC recovery package Pipo M6 max tested by Balrog ifive mini2 tested by juliusdapat Using ArcTools to install CWM Recovery We haven't yet written documentation for this CWM installation process but the video below shows the main steps. If anyone wants to help the community with the documentation, feel free to post here. (edit 2014/01/14) CWM Recovery for Android 4.4.2 KitKat firmware If you are running an Android 4.4.2 (KitKat) firmware on your Rockchip device, we recommend using this package: "iFive X2 Android 4.4.2 CWM Recovery by ManuPC". Thanks ManuPC for providing this recovery image. Controls in CWM Recovery Controls are done thru hardware buttons on your tablet : Vol-/Vol+ to go up and down, power button to validate choices. For tablets without these hardware buttons, you can either use a keyboard/mouse connected to your tablet using an USB OTG (Other the Go) cable, or use gestures on the touchscreen: touch and move up to select up, touch and move down to select down, swipe left to accept or swipe right to go back. The usual disclaimer applies: our application and CWM package come with no warranty for any use; you use it at your own risk. Make sure you first have a backup of your data before testing firmwares or recovery procedures. Thanks to fun_ from androtab.info and ManuPC for their CWM Recovery build. Is it possible to install KitKat on Archos Titanium 80 then? Is there any procedure available? Archos doesn't support... Developers are the only chance to share knowledge and get a step forward! Archos Titanium 80 owner here. As far as I know, RK3066 processor does not support Android KitKat. At least this is not official from Rockchip. I think RK3188 will support it, but not the RK3066 found in Titanium 80. I think the best way to custom our tablet would be with Xposed modules, but I didn´t try it yet. I searched for months about future updates for this tablet (from Archos and from developers over here and XDA forums) but nothing relevent or interesting yet. It seems unbelievable the lack of Archos support and the fact that they won´t update Android version even once since tablet realesed. But I guess you get what you paid for. 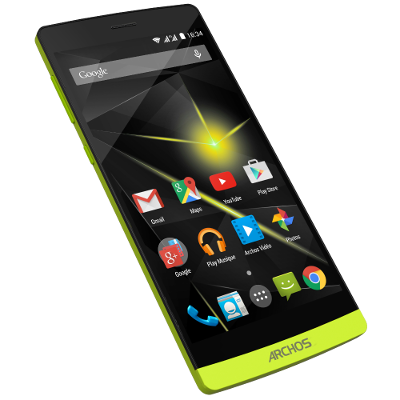 Archos 80 Titanium has rockchip RK3066 SOC, Onda v812 is an Allwinner A31 Tablet.